Individual chalet located at the entrance of Morzine with free shuttles for the start of the tracks at the foot of the chalet. Comfortable chalet with an entrance giving onto a fitted kitchen, a living room with balcony, a small TV room, a bathroom with toilet, a bedroom with two bunk beds and a single bed - Upstairs, A bedroom with a double bed, a bedroom with two single beds, a bedroom with three single beds, a bathroom / WC (attic). A laundry room with washing machine and a ski storage room with boot dryer are available on the ground floor. On the garden level, there is an independent apartment with living room and kitchen, a bathroom with toilet - a bedroom with 2 x 2 bunk beds. The ground is closed by a gate which allows to enjoy the garden in summer and winter. The chalet is rented in its entirety. Bonjour, My name is Cécile I am the manager of this gorgeous property my company sold to M Long in 2007. I am part of the real estate office RE/MAX Lacoutete located right in the middle of the resort and at a short walk from SCHUSS D4. I will be very happy to welcome you and be sure I will do all my best for you to spend a memorable stay with us. Good standard of sanitary. One bathroom is in attic. We were 9 adults with two small children. The agency handling the property was very efficient and also helpful when a flight was cancelled and we arrived later than expected. They sorted out any problems very promptly. The bedrooms are basic but reasonably comfortable. It is divided into a basement flat with external access only, one bedroom, bathroom and a spacious living area for a one-bedroom flat. Upstairs there are two floors with four bedrooms and an adequate living area and smallish, but well equipped kitchen. We wanted to all be together upstairs for meals and the evening so we were a bit short of comfy seating in the upstairs lounge area. There is a poky, attic ceiling bathroom on the top floor and a good bathroom on the first floor so it felt a bit short on the bathroom front. The Navette stops right outside and works well as long as you get a copy of the timetable - about every 10 mins at peak times. It does sleep 14 but really it is most suitable for a couple of families because 6 of the beds are bunks - I wouldn’t recommend for more than 8 adults. There is only one double bed. There is a boulangerie about 10 minutes walk away but you need to go into town - a brisk 15 mins walk or navette for food shopping. We had a good time and, as long as you are not looking for luxury, it fits the bill. The chalet was great. We were 14 people (3 families ) one family had the flat down stairs. The location was perfect for the ski bus as it stopped right outside the chalet. The centre of Morzine was walkable. We got the bus into the centre in the eve and walked back. There was a small supermarket with in about a 10/15 minuets walk. The chalet kitchen was well equipped .The chalet had 4 good size bed rooms for a ski chalet. There was only one shower room, but that was fine for us, There was also another room that had a hand held shower over the bath. The only thing was if some one did have a bath there wasn’t much hot water left. Once about 7 o’clock had come the water didn’t seam to get hot again. The chalet was very warm. The WiFi seamed to be slow and on the last couple of days we lost the wifi completely. I would definitely recommend this chalet, we all had a memorable holiday in it. If/when I return to Morzine I will see if the chalet is available. Thanks, Martin from Cardiff. 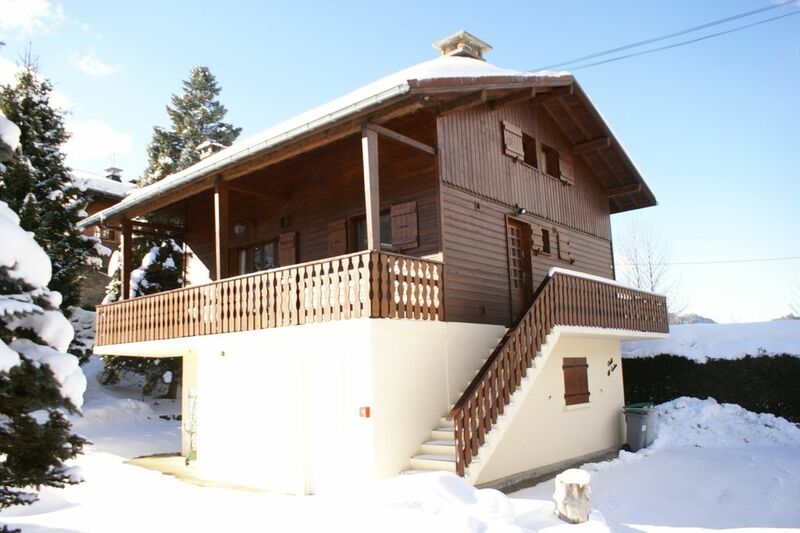 This chalet has everything you need and is extremely comfortable. Access to the town centre and Pleney Gondola is easy, the U and P buses stop outside the driveway gates and run as regular as clockwork. Thank you for your kind review. We really appreciate. We are looking forward to seeing you next year ! This has been our fourth year staying in this chalet, there is everything you need in the chalet with bus stop right outside. Off road parking, driveway regularly ploughed, perfect stay for large family. Thank you for your review. It is always a pleasure to welcome you! We had a great stay here! very smooth, wonderful apartment and lots of fun even in the home! The access to the bus literally could not be better! Right outside the house. Stunning views, what more can i say? Thankyou!! !